All displays or publications of the Deliverables shall bear accreditation and/or copyright notice in Designer’s name in the form, size and location as incorporated by Designer in the Deliverables, or as otherwise directed by Designer. The designer retains the right to reproduce, publish and display the Deliverables in the designer’s portfolios and websites, and in galleries, design periodicals and other media or exhibits for the purposes of recognition of creative excellence or professional advancement, and to be credited with authorship of the Deliverables in connection with such uses. Either party, subject to the other’s reasonable approval, may describe its role in relation to the Project and, if applicable, the services provided to the other party on its website and in other promotional materials, and, if not expressly objected to, include a link to the other party’s website. This section will help you understand what you are buying when you purchase an item and how that transaction takes place from A4JP. Q. Should I pay for a web server and domain (URL) by myself? A. Please do not pay for a domain or URL without checking with us first. If you pay for a very cheap server there may not be telephone support, or it may not be compatible with your website depending on the coding or features that need to be used. Q. I got a simple website from you but now I want to add my own URL it to. How do I do this? A. If you plan to purchase your own URL make sure you can set up URL masking. URL masking allows you to change the address of the current website you have to another address. Redirects will point you to the right folder but they will show the original URL. Q. I want to move my site to my own server, how can I do that? A. If your site was set up on a dedicated server (Type B) then you need to mirror the files and database. If we have to move the files for you, that will be charged at 3,000 yen per hour. If your discount site (Type A) is on our server you can of course copy the content and all your images but not the underlying system we use. Q. How much does it cost to set up my own URL address? A. Depending on the URL address you want, it can cost anywhere from about 1,000 yen to 5,000 yen with an initial set up fee or about 2,000 yen. Some popular URLs are also auctioned so there is not really a fixed price in this case but it just depends on the popularity of the URL. Q. My website is finished but why do I have to pay for a copy of my site? A. If the money you paid was for design/programming time (Type A), the money may not be enough to cover the charges of extra services after the work has been completed. All money paid is for design/programming time unless stated in writing by Glen Charles Rowell (A4JP). If the money you have paid covers the time needed to copy and backup files as requested it will be done. Q. Can I buy my own website parts from other companies? A. Yes, but we may not be able to support other programmers’ systems. Q. Can you make one-off New Year’s Cards? A. Yes. We enjoy making original cards, and can custom make something special for you, your family or friends. Q. How much does it cost to remove noise from an audio file? A. The minimum charge is 2,500 yen but it depends on how long the file is and what noise needs to be removed. * It it easier to remove noise if there are gaps between when a person is speaking or not. * It is also easier to remove noise if the sound you want to remove is a lot higher or lower frequency than the sound you want to keep. Q. How much does it cost for an architectural foam-core model of a house? A. It depends on how big the model is, because we need need to buy materials. If you show us your plans and we know the size of the model we can give you a quote. Q. Can you make and edit PDF files? Also can you make Adobe Illustrator, Photoshop, and GIMP files I can work with? A. Yes. There is a list of some of the types of files we work with below. If your file is not listed here please contact us to see if. A. Yes, we can make DWG files. Also DXF files that are compatible with most systems. Do you still have 3.25 inch floppies or Zip Disks that you want to backup? We can backup your files onto CDs, DVDs, Blu-ray Discs, etc… Or we can email and/or send you the files from a download service if you like. 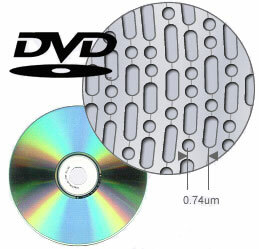 * Please note, we do not make backup copies of rental CDs, DVDs or Blu-ray disks.